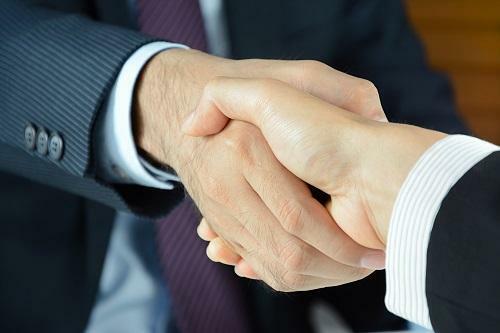 AstraZeneca and Daiichi Sankyo have announced a new collaboration agreement to the tune of potentially $6.9 billion which will see the two companies put their heads together to develop and commercialise the latter’s cancer therapy trastuzumab deruxtecan. The drug is currently being developed for the treatment of HER-2-expressing cancer including in breast and gastric forms, and also tumours will low levels of HER-2 expression, with development ongoing in breast, non-small cell lung cancer (NSCLC), gastric and colorectal cancers; a submission is expected for patients advanced or refractory breast cancer in the second half of this year. Trastuzumab deruxtecan was awarded Breakthrough Therapy Designation by the FDA in 2017 for the treatment of patients with HER2-positive, locally-advanced or metastatic breast cancer who have been treated with trastuzumab and pertuzumab and have disease progression after trastuzumab emtansine. The deal comprises an upfront payment of $1.35 billion, with half payable immediately and the second half payable a year later. Payments of up to $5.55 billion will be subject to future regulatory and sales milestones. The two companies will share the expenditures and profits from the collaboration except in Japan.